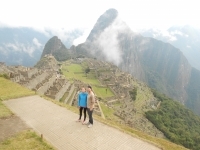 From the desert of Las Vegas NV America To Machu Picchu. 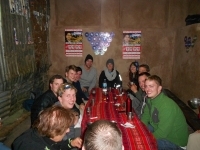 This was an amazing experience from the guide, cooks, horseman and new found friends from all over the world ! Brazil, Canada and Italy ! 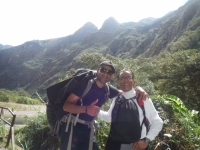 I have been planning for this trip for 3 years and now that I am here with my son, I must say it has been a wonderful adventure. 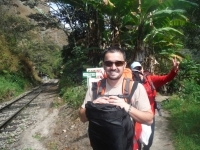 The 3 day Salkantay Trek was an amazing experience, shared amongst strangers turned "familia". 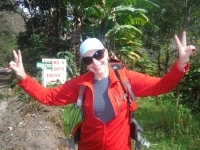 From gorgeous landscapes, snow capped mountains, jungle adventures, glacial lakes, every turn in the road was a surprise. Estava empolgado para trilhar o caminho Inca. O primeiro dia caminhei com bastante vontade. Parei somente para tirar fotos do incrivel rio Urubamba e seus vales. Percebi que o caminho entrava vale andentro. O final do dia foi um pouco cansativo mas chegamos bem ao acompamento e tívemos uma grande janta. 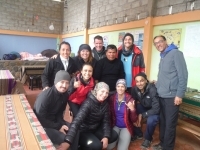 I came to Cusco, Peru with a friend and did the Salkantay 5d/4n trek offered through the Inca Trail Reservations - Salkantay.org company. The experience was amazing! The views were unbelievable. We joined a fantastic group of 8 (7 girls and 1 guy) with 1 horseman, 2 cooks, and a tour guide. 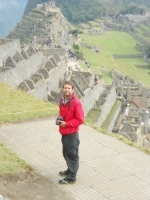 I am always fascinated with Inca culture and mysteries around Machu Picchu. It was a childhood dream to see Machu Picchu in person. 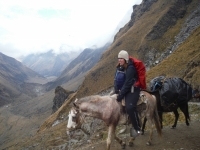 This Inca trek let me soak so much in the landscape of Inca people and culture and history of Incas. First of all I think it was a great trip. 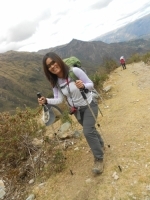 It fully exceeded my expectations and I would be pleased to visit Peru again. It is a lovely country. 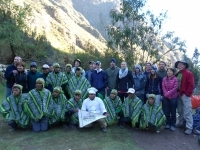 The people in Peru are very helpful and open minded, which we appreciate a lot. 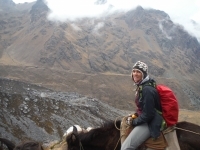 I will recommend Peru for all of my friends. 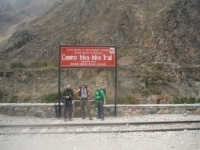 The trail I took followed the traditional Inca Trail. 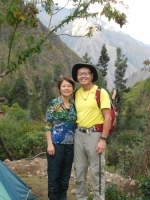 It led me through a beautiful Urubamba River and a number of archaeological sites. The experience is unique. It is not only the views are breathtaking, but also the scale. In my opinion, this was a great tour. Especially Gerson. He was a great leader. He showed us the hidden stories behind everything. The food was outstanding. In general and for camp food. Bravo. I was never hungry. Camps were great. Beds were great. 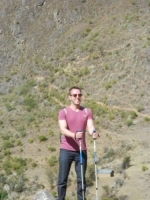 Walking sticks were great. Tents were great. Porters were great.